Arun Sursday Jol Chnam Tmey!!! HAPPY CAMBODIAN NEW YEAR!!!!! Cambodian New Years is celebrated this year on the 14th, 15th and 16th. Wishing you all a very happy and prosperous New Year filled with health, wealth, peace of mind and kindness. 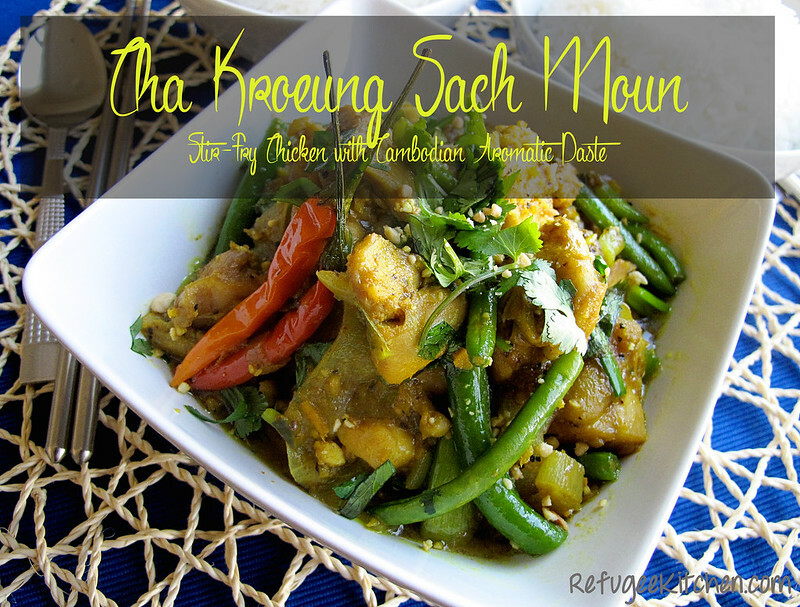 I promised in my last pose about Kroeung that I would share one of my favorite dishes, Cha Kroeung Sach Moun or Stir Fry Chicken with Cambodian Aromatic Paste. My family and I are very lucky to live in an area with a large Cambodian community, not only does it offer a sense of kinship, but it also means I can get hold of certain products that aren’t widely available. In my last post about Kroeung I said don’t substitute ginger for galangal, I still stand by the fact that it will taste different, but in a pinch, you can substitute ginger for galangal and lime zest for the kaffir lime leaves. Although what’s with the prices of limes these days!? Something about a cartel!? I adore this dish for one simple reason, it’s EASY! I can’t stress enough how easy it is to make a big batch of kroeung, store it in the freezer and have it on hand for whatever cooking needs arise. Really there are only 4 steps to this recipe, cook the kroeung until fragrant, add chicken, add seasoning, add veggies and you’re ready to eat. This is the type of cooking I stand by on a hectic week night. I can’t begin to tell you how therapeutic the smell of kroeung is when it hits the heat, it makes all my stress melt away as I stand there salivating! There’s an ingredient that I’m going to introduce with this recipe, one of which is loved by Cambodians almost as much as kroeung! Almost impossible to believe isn’t it!? 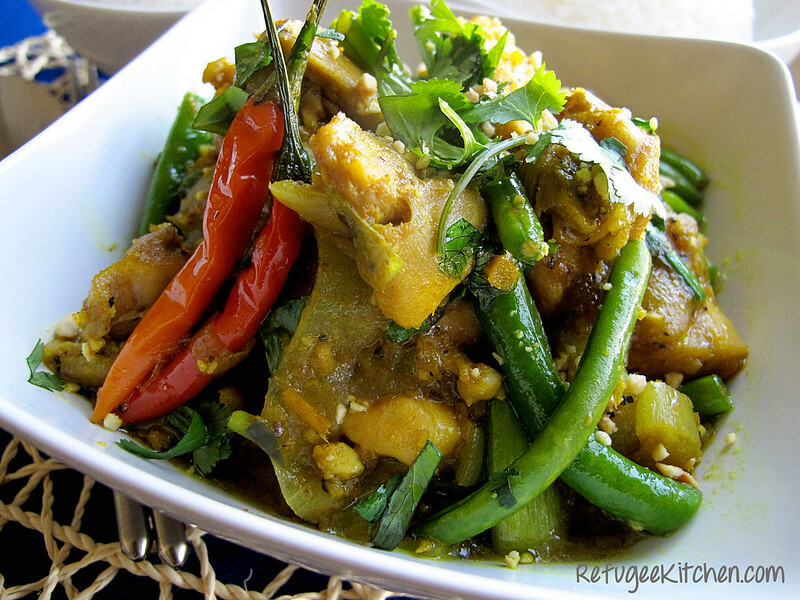 Prahok: Prahok is a salty fermented fish paste very essential in Cambodian cooking, it lends a salty-umami-hard-to-describe flavor to foods. Some people like to call it “Cambodian Cheese” because of its aroma, I love that aroma, it’s slightly sour fermented appeal really opens your sinuses, it’s used in everything from soups to stir fry, steamed foods and dips for raw vegetables. Like most fermented food, the smell is stronger than the taste, don’t be afraid to try it. 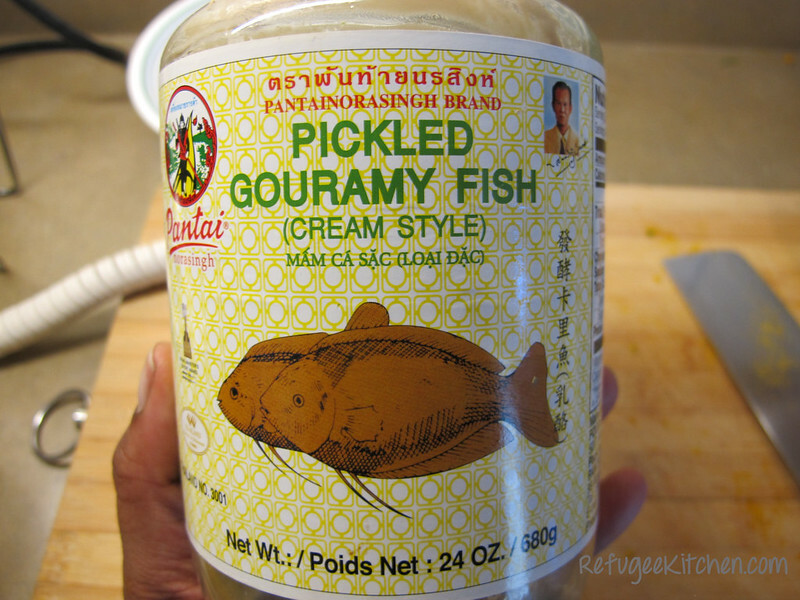 I know some of the newer generation of Cambodians don’t get down with the stinky fish paste but I adore it! There are 2 types available for purchase. One is called “cream” style, which I used here, it’s the ferment fish that’s been pounded into a pate like texture so you don’t have to worry about bones. The other are whole and mostly broken down fishes, this particular type you have to mince very finely or process in your food process to break all the bones down, else you won’t have a very pleasant eating experience! We have both types in our cupboards but the lazy me always reaches for the “cream” style. Tamarind Paste: Tamarind is used widely all over the world, Cambodia is no different, the incredibly mouth puckering sourness is enjoyed in candies, drinks and especially cooking. Cambodian flavors are a balance of salty, sour, sweet and pungent, tamarind is readily available as fresh pods or as pulps. We buy seedless pulps because it’s easier than breaking down the fresh pods. Yes, we are a modern family! 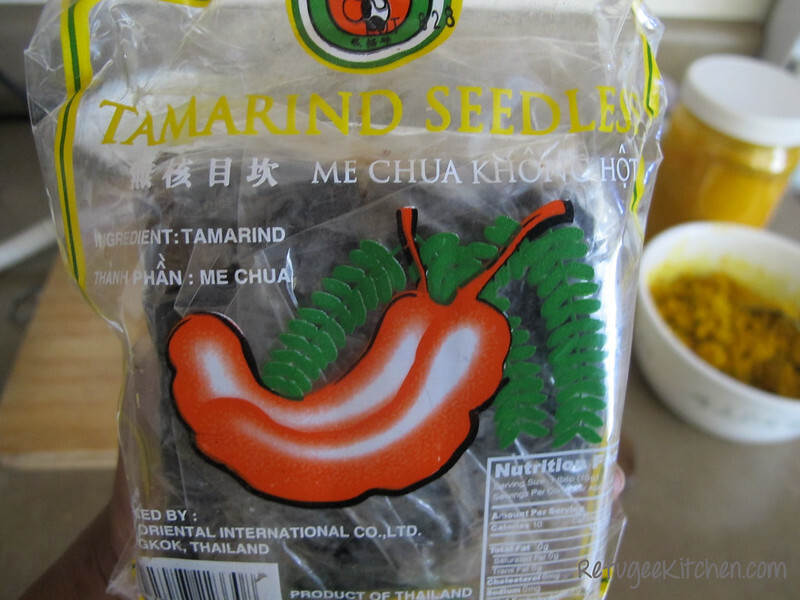 A lot of people have substituted tamarind water with the packaged tamarind soup base for this recipe, which is perfectly ok, but I went to the trouble of making fresh kreoung, I might as well make fresh tamarind water also! Here’s a fantastic easy to follow video on how to make tamarind water, although in my recipe, I only did one extraction. Remember you only need the water for this recipe, throwing pulp in there would overwhelm everything else! 1. Cook green beans in boiling salted water until tender crisp, about 1 min. Remove and shock in ice bath to stop cooking. Drain and set aside. 2. 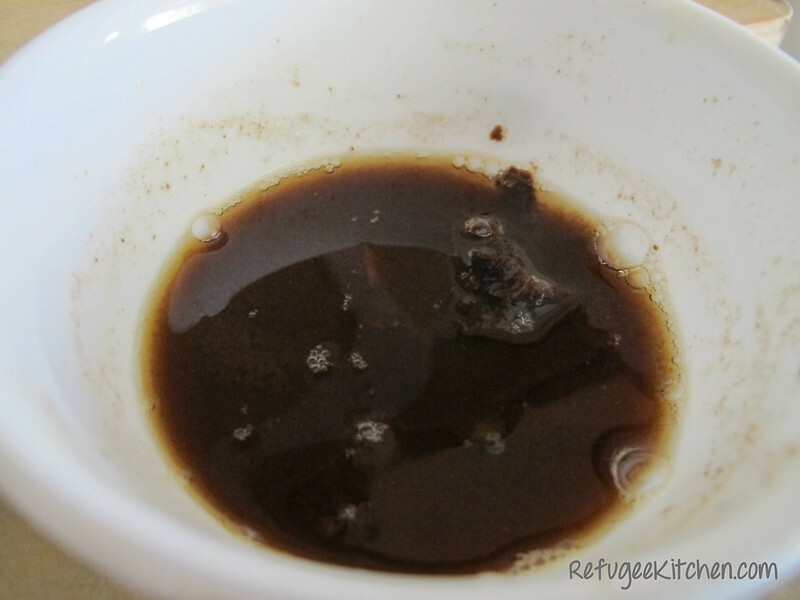 Make tamarind water by adding hot water to tamarind pulp. 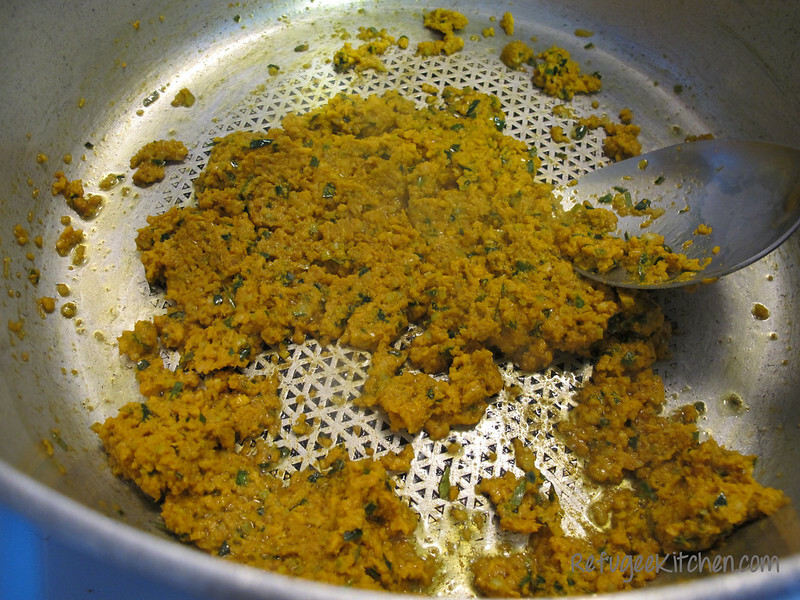 Let sit for 10-15 mins before straining out pulp, set aside. 3. Over medium high heat, heat vegetable oil. Add Kroeung paste and stir fry for 2 minutes. It’s so gosh darn aromatic you’ve never smelled anything it like, trust me! I could just bathe in this aroma for the rest of my life. They should bottle it and call it Essence of Yum. OMG! COINED!! 4. 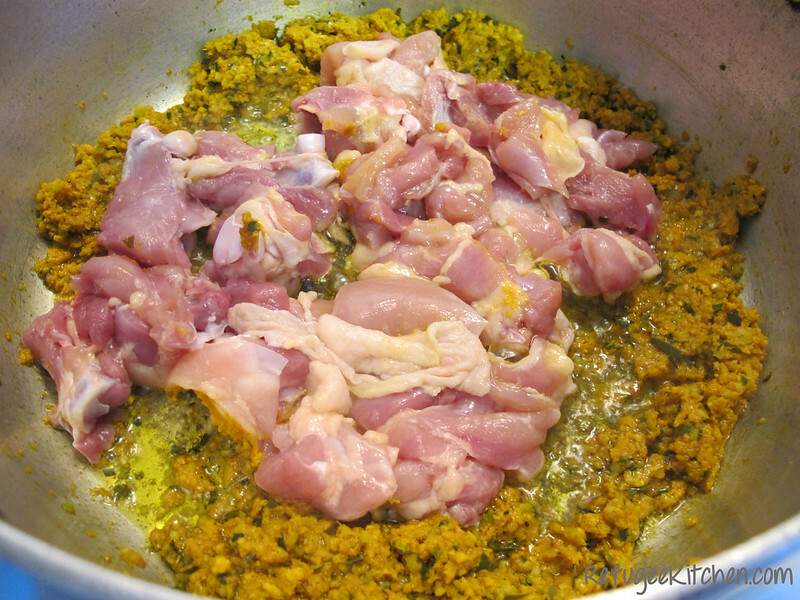 Add chicken and continue to stir-fry, get that chicken all coated in that Essence of Yum! About 2 mins. 5. Add tamarind water, prahok, sugar, fish sauce and black pepper. 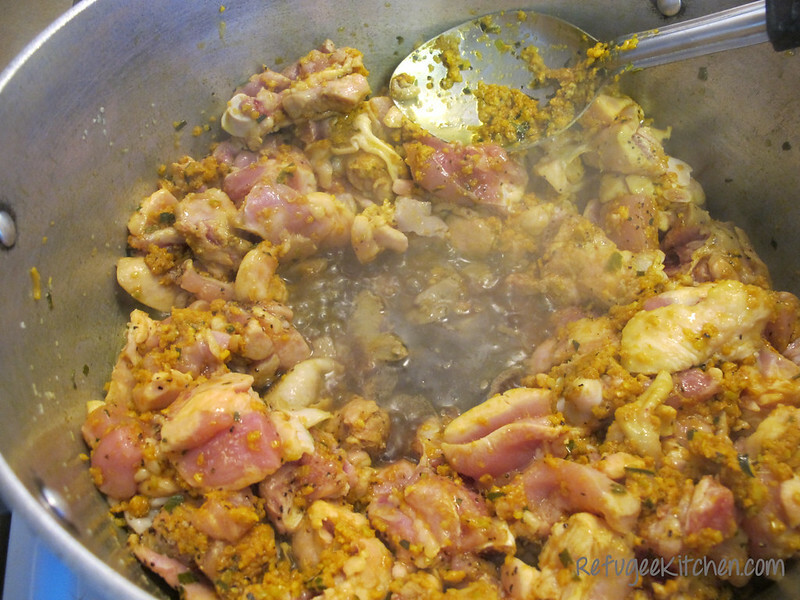 Continue to toss about happily and let the flavors coat all those chicken pieces. About 3-4 mins. 6. 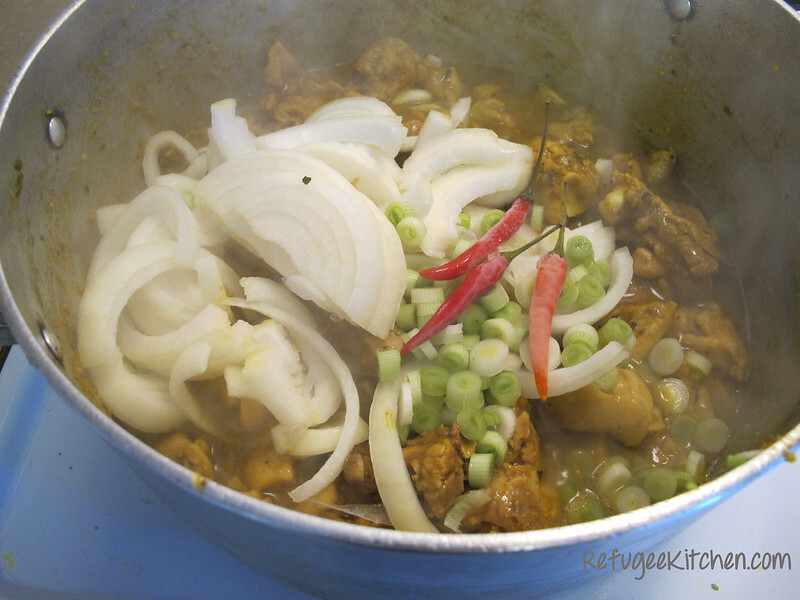 Add onions, scallion whites and chilies, continue to cook another 3-4 minutes until onions are slightly wilted and chicken is cooked through. 7. 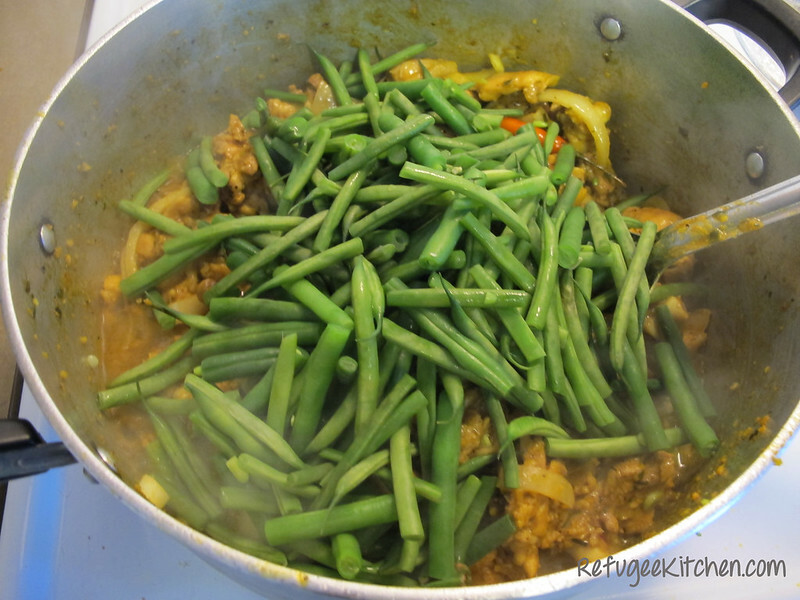 Add green beans, basil, scallion greens and cilantro. Toss together one last time, check for seasoning, add salt if you’d like. My Mother has recruited my sister and I to party with her friends this Friday night. YAYY, can’t wait to get my traditional dancing on! how much different in measurement should I scale it down to if I wanted to make this for just two people? Hi Sean, just cut everything in half, that should do the trick. 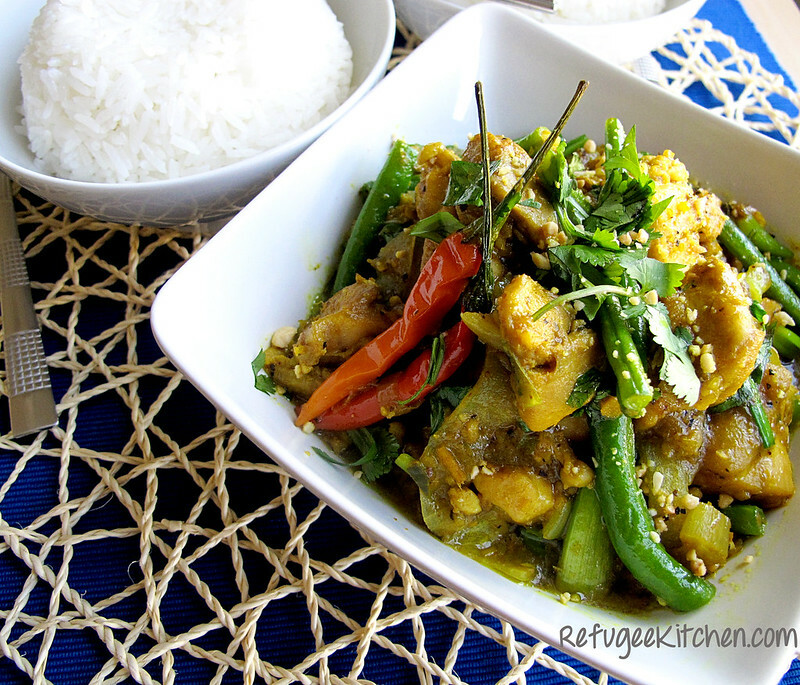 Hi there, I stumble on your blog while searching for cambodian food recipes. Very good read from your site. 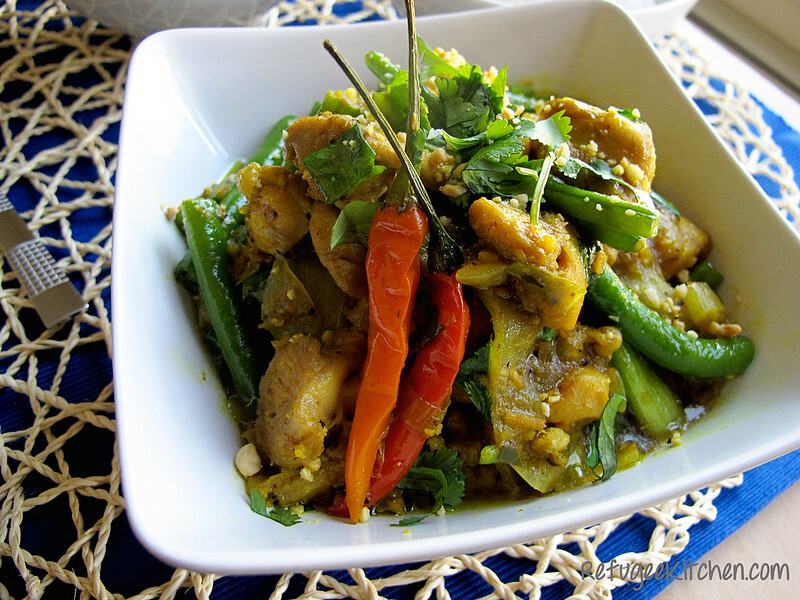 I just relocated to Phnom Penh and wanted to try cooking some cambodian food, your site provide me a lot of information and knowledge. How fantastic! How is it living in Cambodia? I hope I’ll be able to visit soon. omg looks so good. i cant wait to make this!